Lambert Estate Retreat, recently renovated property with ducted heating and cooling, 3 bedrooms one with gas fireplace, 2 large modern bathrooms with a spa in one bathroom. Large family room with bar overlooking valley, TV room with large plasma TV also has gas fireplace. 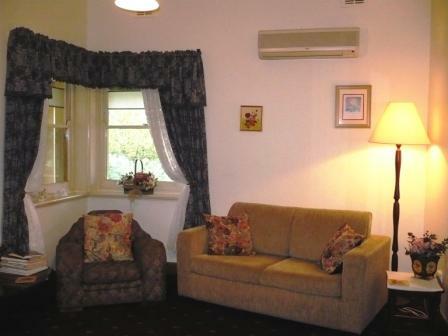 Two lounge areas, and a fully equipped kitchen, dishwasher and laundry area. 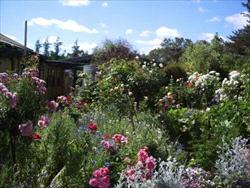 Relax at the rear of the property enjoying the views. Large outdoor patio with new gas barbeque, counter, sink and seating for 8 people. 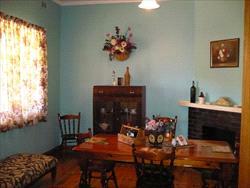 Our self contained cottage offers simple elegant decor and a range of features for your comfort and enjoyment year round. 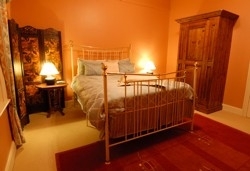 The accommodation includes two beautiful double bedrooms both with queen-sized beds plus an additional single bed ottoman in the larger bedroom. 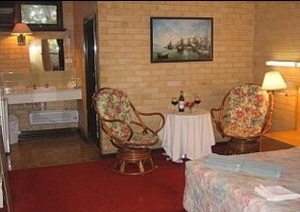 A gorgeous comfortable lounge room, large eat in kitchen with marble benchtops and stainless steel appliances, a sleek modern bathroom with large shower and bath, seperate toilet with powder room, full laundry facilities including washing machine and clothes dryer, shaded outdoor eating area in a lovely manicured landscaped garden and driveway to undercover parking. 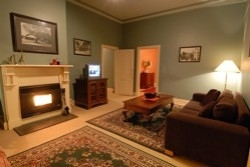 It has reverse cycle air-conditioning in every room, a flat screen TV & DVD/VCR player, iPod dock & radio, full kitchen facilities including dishwasher, coffee machine and microwave as well as provisions for a cooked or continental breakfast using the Barossa's wealth of local produce. Exclusively yours to enjoy, this cottage has the best of both worlds, all the character, warmth and charm of a heritage listed property with the convenience and comfort of a newly renovated cottage. 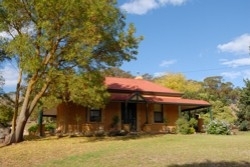 Close to the restaurants, cafe's and shopping in nearby Angaston, or just a few minutes to your favourite winery, Barossa Farmers Market or any of the towns in the valley. Quality and generous regional food provisions for delicious breakfasts and treats! 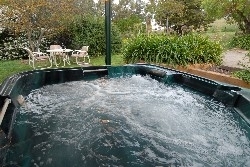 Wood fire, large spa, Plasma TV and views of the Barossa Ranges. 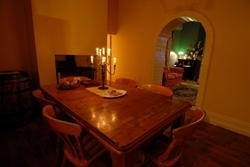 Fully equipped kitchen, BBQ, laundry and TV, CD and Video. 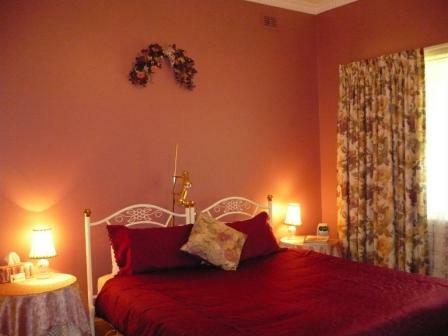 Precious Memories is ideal for family holidays, just a couple or a group getaway. Why not incorporate your stay with a tour! Packages inc. tea and coffee provisions to commence stay. GREAT FOR CORPORATE, LONG STAYS OR JUST A QUICK TRIP. 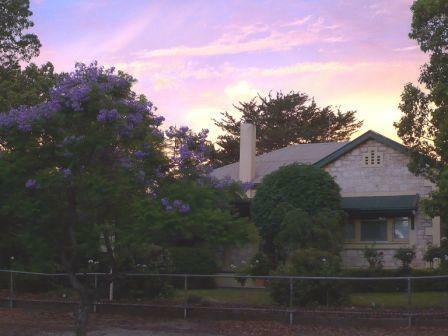 Located within walking distance to the many shops and attractions of Angaston2 Cottages side by side, located on the Main Street of Angaston. 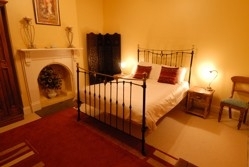 Both with 1 bedroom and a sofa bed.